It’s no secret that I loved Sonic Mania when it came out last year. I mean, I just got finished talking about how great it was yesterday in my Mid-Week Review of Sonic Mania Plus. A the end of last year, amongst all of my gushing during my Game of the Year posts; I also had something of a revelation. It was a liberating experience for me. It was the realisation that I didn’t have to be a Sonic apologist any more. I didn’t have to accept the bad/mediocre Sonic games that came out more consistently than the good ones. To comb through them to find any nugget of something worth praising and focus solely on that aspect like a laser beam, acting as though that little thing made up for what was, in reality, oftentimes a mediocre game. As if to remind me of my moment of clarity, Sonic Mania Plus came out and made me start to wonder: What does the success of this game mean for the future of this series? The Sonic the Hedgehog franchise is one that sells itself to two kinds of people; children and old fans of the series who grew up playing the games, individuals like myself. Kids are easy to please, I used to play some utter trash when I was a nipper, but the kids aren’t the ones filling the internet with self entitled articles such as this one; digging into the deeper merits of the franchise. It’s a topic I’d like to imagine executives are Sega are also discussing right now. It’s these leaders, at a company that have been releasing Sonic games on a regular clip for the past 25+ years, that have seen nowhere near the success and acclaim that a game made by, what is essentially, a fan. Not to devalue what Christian Whitehead has achieved. I, too, adore what he and his team did with Sonic Mania Plus, but there was a real factor of relief for long suffering fans when it came to the success of Sonia Mania. It was a return to the original graphic and game play style after years. In doing this, the game turned the heads of, not just Sonic fans, but any retro video game enthusiast as well. It reminds me of a similar situation surrounding the release of Mega Man 9. It too was a game that returned to its 8-bit roots, doing so in a way that stirred interest and positive word of mouth regarding the intellectual property. The game was much appreciated by both fans and critics alike, getting pretty high praise upon its release. It was what happened next that leads me to draw worrying comparisons between it and Sonic Mania. Riding on the coattails of Mega Man 9’s success, Capcom made another game in the exact same vein; Mega Man 10. While, it too, was received warmly by fans, the general interest was much lower, thus it failed to perform anywhere near as successfully as its predecessor. It might not be that exact situation with Sonic though. Sonic Mania Plus, by comparison, has been even better received than the original. Admittedly, it’s technically an expansion rather than a sequel. 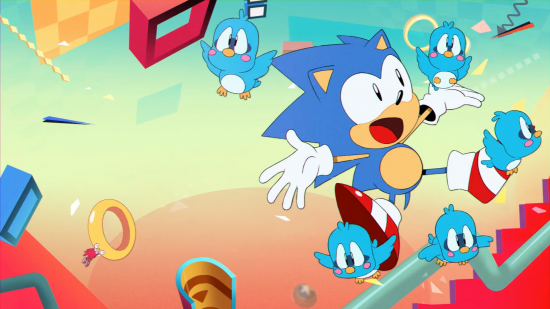 But it is a positive sign that there is a further interest in the franchise beyond the cumulative factors that lead to Sonic Mania being the big success it turned out to be. While I’m sure die hards such as myself will still pick up whatever Christian Whitehead does next and (hopefully) love it. The general hype and interest generated by a wider audience that came with this initial return will not be at the same come a potential “Sonic Mania 2”. The novelty of a “good Sonic game” was enough for those who don’t hold a candle for the series to pick it up out of curiosity, but whatever comes next will just be the follow up to Mania for them. If Sonic wants to succeed in a broader sense than it has been doing for the past couple decades, then the franchise needs to expand beyond a 2D platformer. And by posing that situation, we suddenly find ourselves in the exact same shoes as the Sega executives who were in charge during the years of the Sega Saturn and leading up to the Dreamcast. The only difference now being the large number of Sonic games that have come out in the intervening 25 years. Sega and Sonic Team have a history you’d like to think they can learn from. One in which most of their Sonic games have been met with lukewarm receptions or mocking jokes about fans being locked in a “Sonic Cycle”. It didn’t help that many fans held games like Sonic Adventure and Sonic Heroes on a nostalgic pedestal from their adolescence, when in reality, these games were only half decent at best. 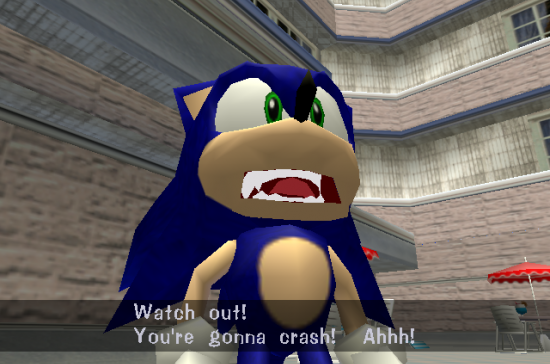 For years, I would describe Sonic Adventure 2 as a “great” game, when in reality it was a game with some good ideas and a hell of a lot of poor execution, poor sound editing and entire sections that nobody actually wanted to play. The Knuckles stages of either Sonic Adventure game were tedious at the best of times. In the following years, the games got further and further from their source, and this led to a point where vocal fan criticism began. “Too many side Characters” and “not enough speed”. Criticisms that Sega and Sonic Team were probably a little too quick to take on board. I’d argue that no criticism is invalid as long as it comes with the purpose of being constructive. But the further fans got from those original Sonic games that created the franchise, the less they seemed to remember what made those games great in the first place. Side characters and speed based gameplay were never an issue back in the days of the Mega Drive. What many people fail to realise about the Sonic franchise is that speed was never a given, it was a reward. Coming from an era before save slots were common, one of the design philosophies behind the original Sonic the Hedgehog was to make a game that could be “speed run”, before the concept of speed runs were even a thing. Yuji Naka, one of the original Sonic producers, said that he wanted to make a game in which, the better you got at it, the faster you could finish it. One thing he found frustrating about games of that era, was that without a save function, players would only end up seeing the first handful of stages over and over. The later stages hardly got to be appreciated. So, the unique aspect of the Mega Drive and its fast processor, coupled with this design philosophy gave us the Sonic we know today. Ultimately, this meant that Sonic was a game that was reliant on its game play. It was about memorisation, quick reflexes and an understanding of the abilities each character had access to. For this to work, snappy and responsive gameplay were vital, as was intelligent level design. And the first handful of Sonic games did this perfectly. It was the basic groundwork for the series going forward, and something that got away from Sega with the transition to 3D. As much personality as modern Sonic games have, they lack the real thing that made people enjoy them in the first place. While 3D game play was, very much, in its experimental phase during the Saturn/Dreamcast era, by the time other developers had managed to perfect a system of control, Sonic Team were still floundering. As much as a I enjoyed Sonic Colors and Sonic Generations in the modern era, they have a bad habit of taking control away from the player too frequently. While it might sometimes feel like you’re in control, the extended “roller coaster” like sequences became a common part of modern Sonic, in which you hold forward and watch the world speed by. Later games that returned to a 2D game play perspective like Sonic 4 would feel floaty and nowhere near as responsive as those original, sprite based game. It’s the primary thing that Sonic Mania gets so right and most of the modern games seem to fail to understand. One of the biggest things fighting against it is that: Sonic the Hedgehog isn’t for everyone. 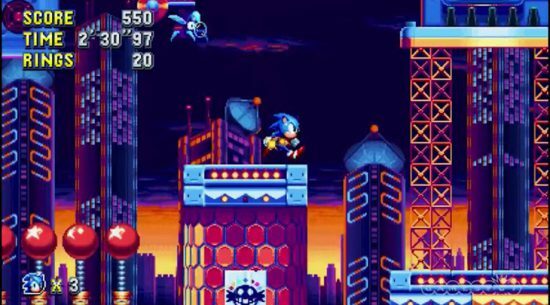 Even Mania, which saw people get their hands on the series for the first time since the original games, had many expressing frustration about enemy placement and level layout. While I don’t agree with the “Sonic was never good” voices that some major video game writers have been putting out there in the wake of the game, I’ll agree that there was never a universal appeal to Sonic like there was for 8 and 16-bit Super Mario games. If Sega want to continue their focus on making Sonic a franchise for children, then they’re set, they just need to continue with their current business plan. One that does seem to work for them considering the frequency with which Sonic games still come out. In the meantime they can hand off another game in this same, retro style to Christian Whitehead and his team. But even the biggest Sonic fans will tire of games in this pretty limited style by the time he is on his third of forth game. We’ve moved past this style of video game. As much as I enjoyed Sonic Mania, and as much as I’d like another one, they can’t keep coming out in perpetuity. I guess what I’m trying to say is that Sonic Mania feels like a stopgap rather than a solution. While there are enough passionate fans of the franchise out there that could potentially make a fantastic Sonic game as good as a Mario Odyssey, I’m not sure it’s ever going to happen. 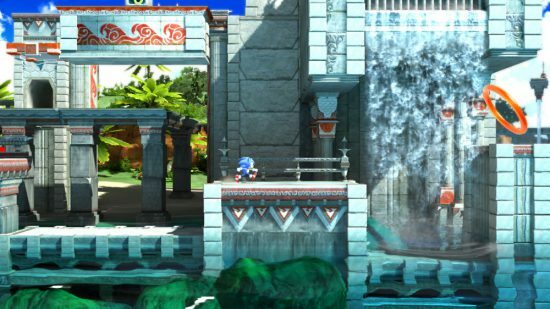 The people at Sega could start scouring the internet for the most talented young modders and designers, and let them let lose with the franchise to make something that is beyond their doing. Only they know for sure. 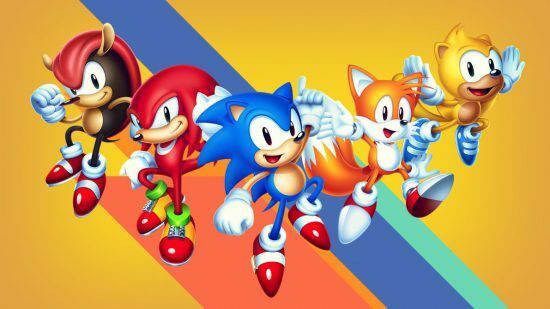 I’d like to think that Sonic Mania is the start of a new beginning for the franchise, but the pessimist in me tells me that very little will actually change in reality, and the best we can hope for is Sega allowing people like Christian Whitehead to continue making passion projects that fans like me can feel good about. At the very least, the best thing that has come of all this is me being broken out of a vicious (Sonic) cycle. 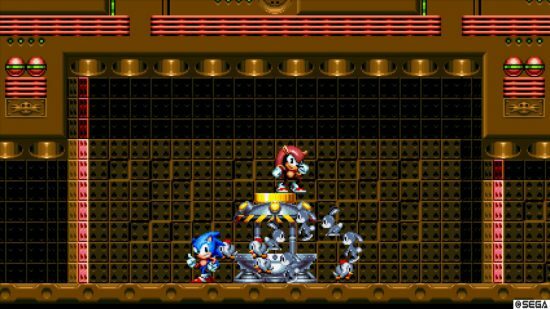 Posted on August 3, 2018 August 3, 2018 by WooderonPosted in Features and/or Ranting:, Video GamesTagged christian whitehead, genesis, mega drive, platformer, retro, sega, sonic forces, sonic generations, sonic mania plus, sonic the hedgehog.